And yet, haven’t we all had dreams of living in a world like this? Are these dreams just figments of our imagination? Or are they memories of what we, thousands and thousands of years ago, once experienced—and at some point lost, as we descended into the kind of world we know of today, filled with struggle and suffering and lack of direct connection with the Divine? Or do these dreams perhaps come from intuitions about the future that is in store for us? Many of us are having these intuitive feelings; some are having clear visions; others are inwardly hearing about the reality of humanity’s future will be. Some of us feel we have been waiting thousands of years for these times we are now entering. If we seek deeply within ourselves, we may find that these dreams of an ideal and peaceful world are actually both a distant memory of what we once experienced eons ago and an intuitive glimpse into what is now beginning to happen on earth. And our longing to return to this ideal world is simply a yearning to finally return Home to this beautiful world ahead of us. How Can it Happen so Quickly? The question might arise: How can this possibly happen? How can this world turn around from where it is today and become this utopian kind of world? There is still so much darkness on the planet—wars, hatred, prejudice and injustice. The answer is two-fold: First, thousands of people on the planet are now experiencing an awakening of the heart at an unprecedented rate—and this awakening appears to be speeding up, as time goes by. At some point, the hundredth monkey phenomenon will inevitably take hold. And secondly, not everyone on the planet at this time is making the choice (consciously or unconsciously) to make the shift into the Fifth Dimension. All souls have the choice to enter 5D, given they have assimilated sufficient light to hold the energy levels that exist in that higher vibration. But many will be choosing to leave the earth within the next couple of decades to move on to other third dimensional experiences in other parts of the universe. They will not have finished with what third-dimensional reality has still to teach them. 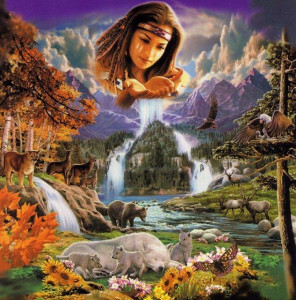 Those who are choosing to stay and make the shift with the earth will be going through some intense and rapid changes, as their bodies and minds make the radical changes needed to shift into the higher consciousness requisite for moving into the Fifth Dimension. 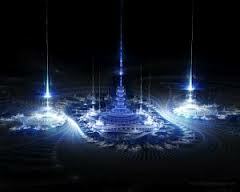 First of all, dimensions are not places or locations; they’re levels of consciousness that vibrate at a certain rate. There exist numerous dimensions; the fourth and fifth are simply higher than the one we’ve been living in. Ascension into even higher dimensions will continue even after we’ve reached the fifth. Each dimension vibrates at a higher rate than the one below. In each higher dimension, there exists a clearer, wider perspective of reality, a greater level of knowing. We experience more freedom, greater power, and more opportunity to create reality. 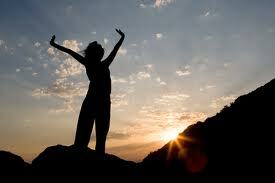 In order for a higher dimension to be available to us, we need to vibrate in resonance with it. Shifting from one level of consciousness to the next higher one means becoming established on it, so we don’t get pulled back. It’s important to understand, first off, that the Third Dimension is not the things you see: the table, the tree, the earth. These are form. All things in form are still present in the Fourth Dimension (and to some degree in the 5th); they’re simply more light-filled, not as dense. The Third Dimension is a state of consciousness that is very limited and restricted. Because we’ve been living in this 3rd dimensional reality for so many lifetimes, we tend to assume that this is the only reality available to live in. We think this is simply how “reality” is, not realizing it’s a very limited experience of reality. The Third Dimensional “operating system” runs on rigid beliefs and a fairly inflexible set of rules and limitations. For example, in the Third Dimension, we learn to believe that bodies are solid; they can’t merge with each other or walk through walls. Everything is subject to gravity, physical objects cannot disappear, and we cannot read another person’s mind. There’s a solid belief in duality, and judgment and fear are pervasive. This is the “bridge” we’re all pretty much on now, and will be for a relatively short period of time. In traveling through the Fourth Dimension, we are preparing ourselves for the Fifth. 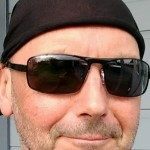 Many of us have had experiences of the Fourth Dimension for a number of years now without realizing it. 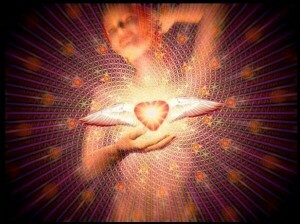 We can know we’re experiencing the Fourth Dimension when we have moments of spiritual awakening and experiences of heart opening. Other times, it can happen when we’re simply feeling clear and quiet inside. Everything within and around us feels lighter, less rigid. There’s a sense of spaciousness and upliftment. Time is no longer linear in the Fourth Dimension—there’s an ongoing sense of being in present time, with no interest or even awareness of past and future. And we can discover that time is malleable—it can actually stretch and condense, much to our third dimensional surprise. 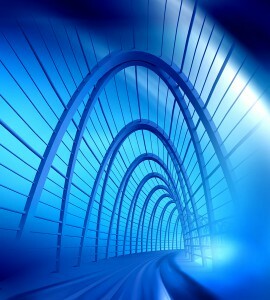 Manifestation is much faster in the Fourth Dimension. Something we simply think about can show up very quickly. In general, when we’re experiencing joy, love and gratitude, we’re experiencing fourth dimensional consciousness. The Fifth Dimension has been described as the dimension of Love, of living totally from the Heart. 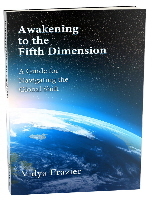 Many of us are having experiences (or “dreams”) that feel like visits to the Fifth Dimension. These are exhilarating—tremendously exciting and hopeful. They keep us moving on through the difficulties that sometimes arise as we travel through the Fourth Dimension and into the Fifth. We are currently in what’s been called “transitional times” or the “end times”. These are the times in which we are experiencing the death of third-dimensional reality, while at the same time beginning to travel through new and unknown landscapes of the 4th Dimension. In essence, one whole structure of reality is collapsing, while a new one is emerging. It’s to be expected that some chaos, confusion and disorientation will reign both within and around us, as we attempt to adapt to a whole new way of experiencing reality. Many of us are beginning to experience radical changes in our lives, as we enter into these times. Whatever does not serve us in shifting into a higher dimension has to fall away. This can include old relationships, lifetime careers, approaches to life we’ve traditionally taken, an out-dated sense of identity, or any limited or negative thoughts and emotions that holds us in a lower vibration. 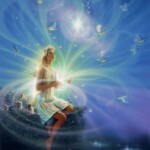 Fortunately, we can now get a great deal of help in making the transition to a higher vibration. Beings from higher dimensional realms are more and more present to assist us; we simply need to ask for their help. We can also become aware of the flooding of divine light that’s currently arriving from the higher dimensions. So releasing old patterns and negative emotions is getting easier and easier, if we have the clear intention of letting them go. 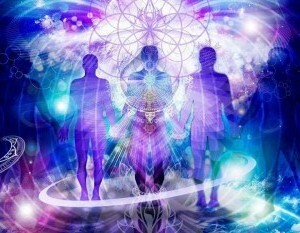 Many sources tell us we can take our physical bodies with us, if we choose, into the Fifth Dimension. Some say that although other planets and galaxies have shifted into higher dimensions before in the history of the universe, this is the first time that souls in incarnation on a planet are going to be taking their physical vehicles with them into the higher dimension. Doing this is seen as the next step in humanity’s evolution. Given this, it seems important for us to really take care of our bodies at this time. Radical transformation can be hard on the body, causing pain, aches, exhaustion and flu-like symptoms. If you feel a resonance with the information in this article, it’s likely you’ve decided—either consciously or unconsciously—to shift with the earth into the Fifth Dimension in this lifetime. If so, you have the choice to simply allow life to transform you—sometimes in uncomfortable ways, if you have any resistance to change. Life will do the job for you. Or you can choose to actively cooperate with the shifts taking place inside you. You can consciously let go of old patterns, release negative emotions, judgments and thoughts, and work on keeping your vibration high at all times. This effort will likely ensure that your journey through the Fourth Dimension will be a lot smoother and even perhaps more rapid. But there’s no right way to make this journey. We each have to do it the way that’s best for us. One way or another, we will make it into the new reality that lies before us. What an exciting time to be alive! Logarth lives close to the Ocean in NSW, Australia with his Wife and Children. He is an Angelic Reiki Energy Healer and a Lightworker. He lives his life quietly while continuing on his spiritual journey. Easily Make Your Own Solfeggio Healing Tones!